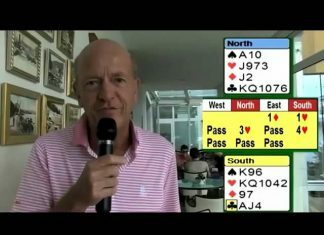 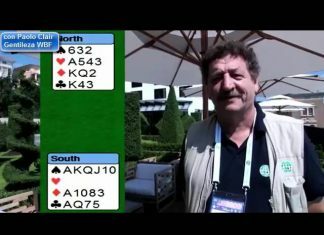 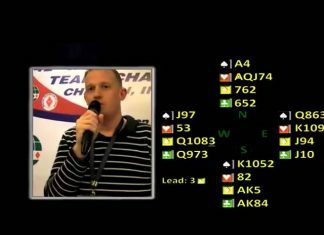 During the 4th World Youth Open Bridge Championships, Opatija 2015 Mr. David Stern (AUS) explained this example. 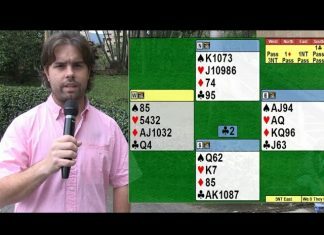 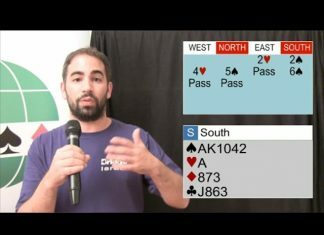 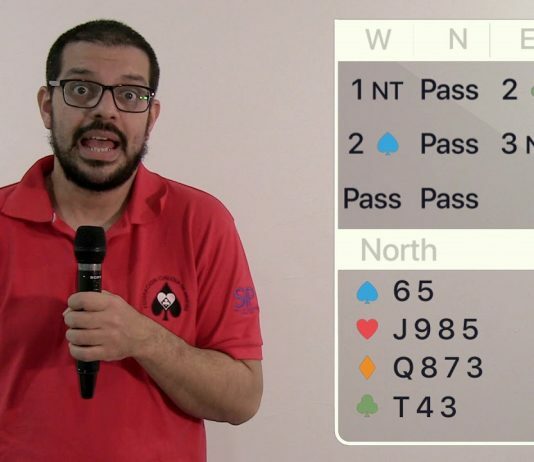 During the 4th World Youth Open Bridge Championships, Opatija 2015 Mr. Paolo Clair (ITA) explained this example. 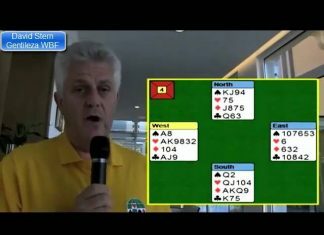 During the World Bridge Games, Wroclaw (POL) 2016 Nevena Senior (ENG) explained this example. 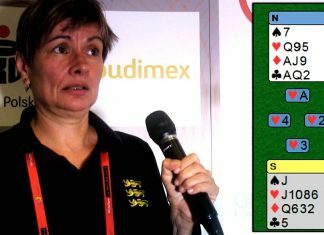 During the World Bridge Games, Wroclaw (POL) 2016 Janice Seamon Molson (USA) explained this example. 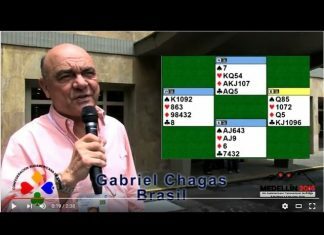 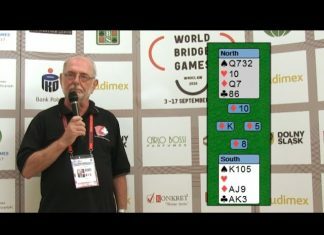 During the World Bridge Games, Wroclaw (POL) 2016 John Carruthers (CAN) explained this example.